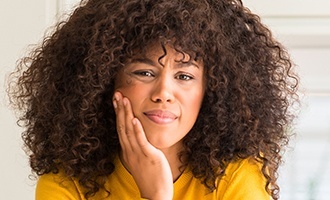 Dental emergencies always seem to strike at the worst possible time, whether your child has cracked a tooth right before school photo day or you’ve woken up with severe mouth pain in the days leading up to a much-anticipated vacation. At J.B. Dental, we understand how difficult and frightening these situations can be for busy patients, and our team wants to help. That’s why Dr. Bancroft makes time for dedicated emergency care here in Westminster, CO as soon as possible. She will diagnose your condition, relieve any severe discomfort, and start working with you towards the right restorative solution so that your smile regains its happy glow in record time. Contact us today! When faced with a worrisome dental emergency, being able to trust in an experienced and compassionate dentist for support can make a world of difference. 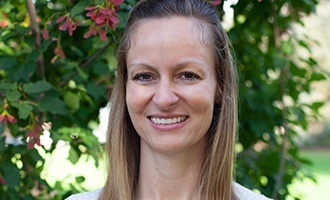 Dr. Bancroft has over 15 years of experience in the field, and she regularly pursues continuing education so that her skills are as modern and up-to-date as possible. Not only does she work hard to accommodate patients as soon as possible in her schedule, but she’ll also collaborate closely with them so that they clearly understand their treatment options and how they can regain strong, complete teeth successfully, even after severe injury. 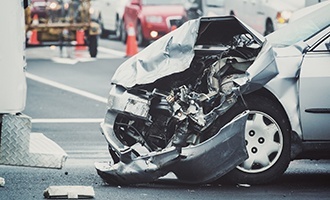 A sudden, shocking blow to the face can result in damaged teeth, partially dislodged teeth, or even teeth that have been completely knocked clean from the mouth. In these situations, contacting J.B. Dental as soon as possible is crucial. Dr. Bancroft offers several services that are designed to revitalize and replenish hurting teeth, including dental crowns, tooth-colored fillings, and root canal therapy. If the tooth is entirely lost, she can also provide state-of-the-art replacement with dental implants! The development of tooth decay and gum disease are gradual processes, and patients may not realize that they’re in danger until they start experiencing severe oral pain and sensitivity. If a bad “toothache” is wreaking havoc on your busy schedule, don’t hesitate to contact our Westminster office for assistance. We will assess the infection and recommend treatment as needed, whether the tooth can still be successfully saved with root canal therapy or must be extracted and replaced for the patient’s safety. Many patients fear hearing the words “root canal” in the dentist’s office, but our team is here to reassure you that there’s nothing to worry about. In fact, this procedure can be your smile’s saving grace! 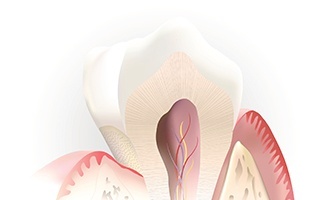 During root canal therapy, Dr. Bancroft will carefully access the inner pulp of the infected tooth and remove dangerous bacteria before covering the treated structure with a customized dental crown for long-term protection. 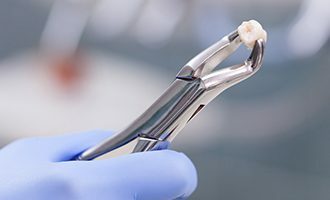 Today’s state-of-the-art tools and comfort techniques have helped make root canals very simple, and most treated teeth are able to stay safe in your natural smile for many more years. Dr. Bancroft will address every unique extraction case from a personalized angle, taking the time to ensure the patient feels comfortable and safe throughout the treatment process. 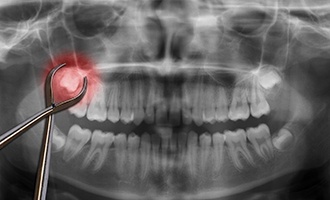 Wisdom teeth (also known as third molars) are the last adult teeth to emerge into a patient’s mouth. They typically make their appearance in the teenage/young adult years, although every person is different – in fact, some patients don’t even develop wisdom teeth at all! Unfortunately, these late bloomers can lead to serious oral health problems, including impaction (the teeth becoming trapped within the jawbone) and overcrowding. Dr. Bancroft will assess the health and trajectory of wisdom teeth in younger patients with the help of digital X-rays, recommending extraction as needed to help their smiles stay safe and healthy.